When was the car purchased? Purchased in September of 2011 from TN. What’s stock/original/restored? All body panels are stock. 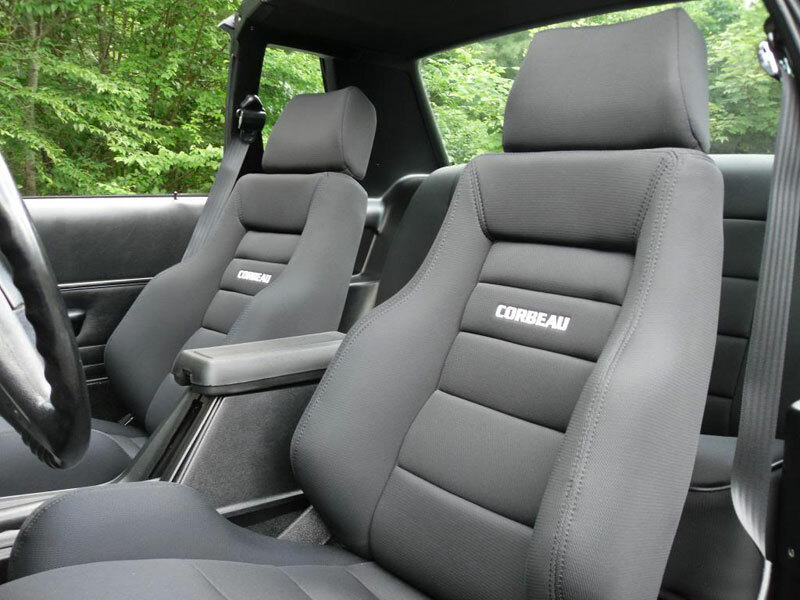 Interior is stock minus the Corbeau seats, SCT Livewire and Alpine radio. I found a 140 mph dash for it as well. What’s modified/upgraded/custom? Everything basically. Every inch of the car was painted during the restoration process. Interior was swapped to all black. The carbureted 5.0 and AOD were removed when purchased and a Coyote 5.0 and 4R70W automatic were installed with new everything: suspension, fuel system, brakes, power steering, cooling system wheels and tires etc. First place in 79-86 V8 Modified Class at 2013 Ford Nationals Carlisle as well as a Celebrity Choice Award. Two Best of Show awards at local shows in NH during 2013. Best Engine at the CARBBQ in August of 2013 hosted by FEP Member Chet-B. Any particular challenges in getting the car to its current condition? Custom headers were needed in order to clear the 4R70W automatic transmission. We also had to move the driver side floor in about an inch to clear the transmission. 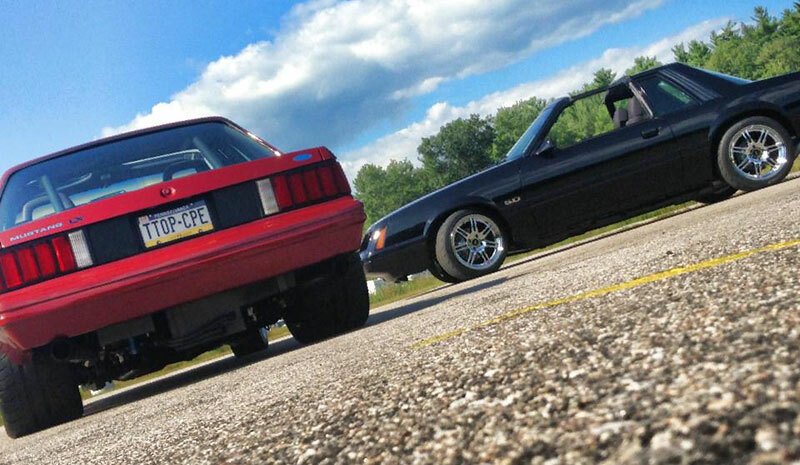 Reasons for making or keeping the car as it is today: I wanted to build my wife a unique, reliable and fun-to-cruise-in Fox for a few years. We saw Terry and Julie Allen’s Beautiful 1984 T-Top coupe (FEP Member trbofox) in September of 2011 at the SmokinStangs Laconia Rally and fell in love. Soon after Jackie and I decided to find a T-Top coupe and throw a Coyote in it. We took the car to a few shows this year, but we enjoy cruising in it even more. We put about 1500 miles on it this summer and can’t wait for next Spring to start cruising again. Other points of interest about the car: This T-Top coupe was owned by 2 FEP Members prior to us purchasing it. Build took 18 months and another few months working out bugs, but by June of 2013 it was reliable enough to drive anywhere at anytime. Should be seen in print sometime this year!! !